It appears Apple’s iPhone X inventory is continuing to improve, as some Canadian pre-orders made on October 27 with delivery dates of December 13-20 have shipped in Canada. 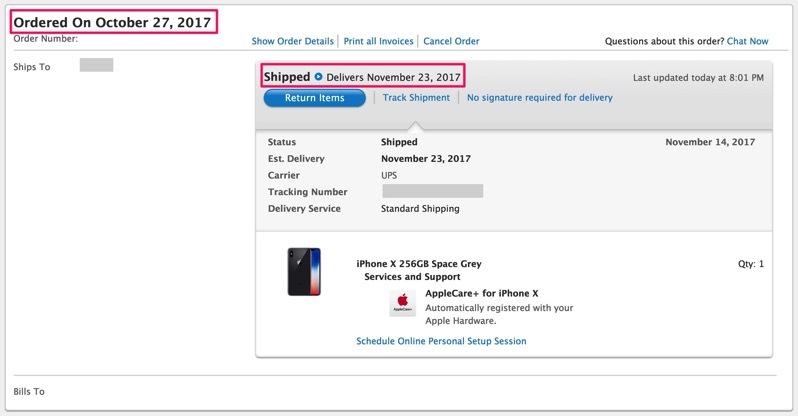 Just over a week ago, Apple notified customers with November 21-28 shipping dates for iPhone X their orders had started to prepare for shipment, and these units are now arriving earlier as expected, too. While iPhone X ship times are still 3-4 weeks out on Apple.ca, the times are expected to improve, as users in Europe are now seeing ship times of 2-3 weeks. With the holiday season ramping up, expect iPhone X shipping times to significantly improve as we head into December, as they do each and every year. Are you seeing your iPhone X pre-order slated for December shipping now?